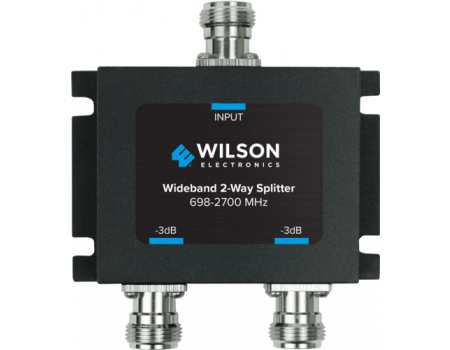 The Wilson 700-2700MHz Signal Splitter is used to split a single input signal into two outputs. 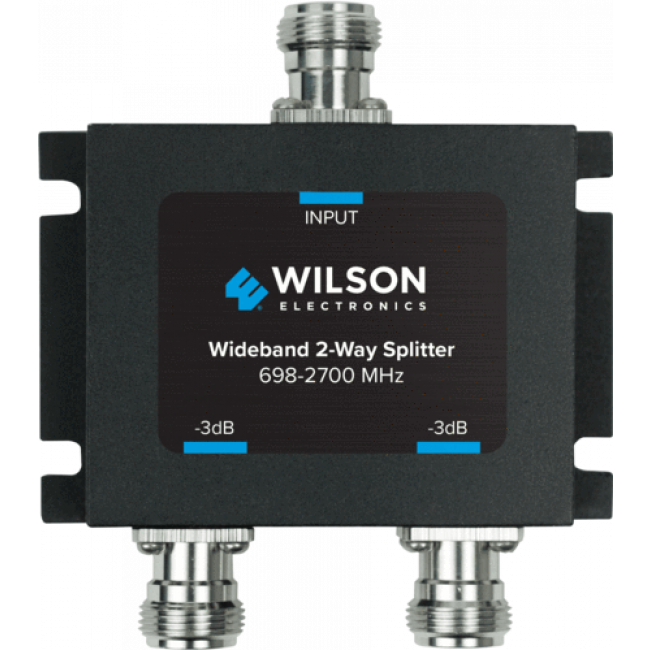 The Wilson 700-2700MHz 50 Ohm Signal Splitter (859957) is used to split a single input signal into two outputs. 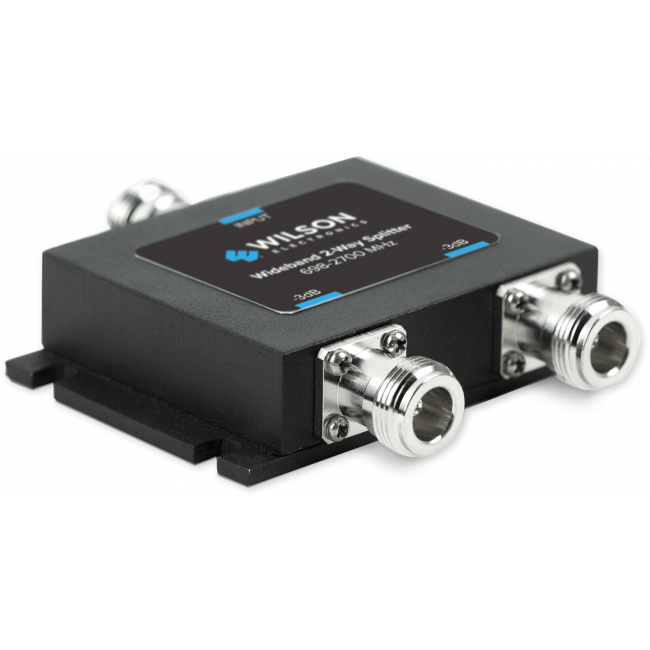 It has N-Female connectors.